Christian Testimonials - Christian Tabernacle Church of God Inc.
"Well I loved it. I just joined today. Pastor is an awesome man of God and I'm excited about what God has in stored for me at the TAB." "I love this church family because they welcome you with open arms. Pastor Kevin Hart speaks from the heart I can relate to alot of the sermons not so much of a big congregation but personally me I'm ok with That. Their always doing something for the youth which is always good Amen . Check them out you won't be disappointed." "The tab is my childhood church and there is nothing but good word that come from the tab souls are beening set free and most of all God is beening lift up and where the spirit of the lord is there is liberty Amen!!!" 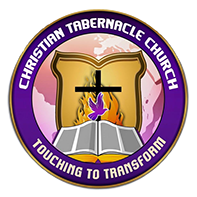 Christian Tabernacle Church of God Inc.